Multiplying two digit and three digit numbers! There are a lot of steps. It can be quite confusing! And it requires a ton of practice for many students to master. 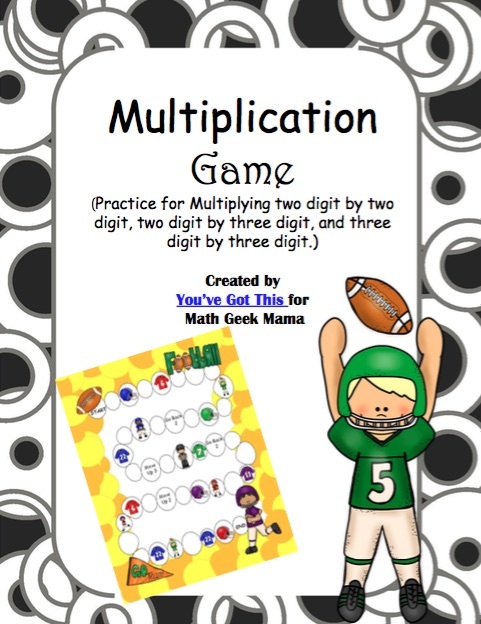 But no student wants to spend hours practicing multiplying two digit numbers over and over. 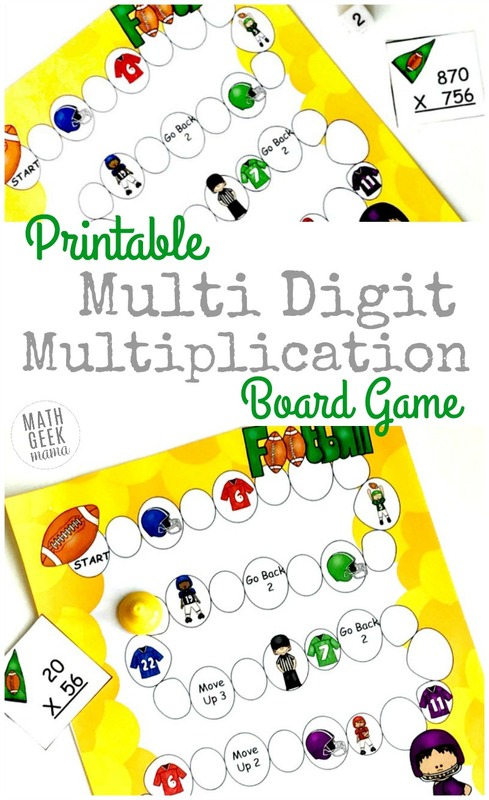 We don’t want that for our kiddos either, so here is a fun multi digit multiplication game that gets children practicing multiplying two and three digit numbers. 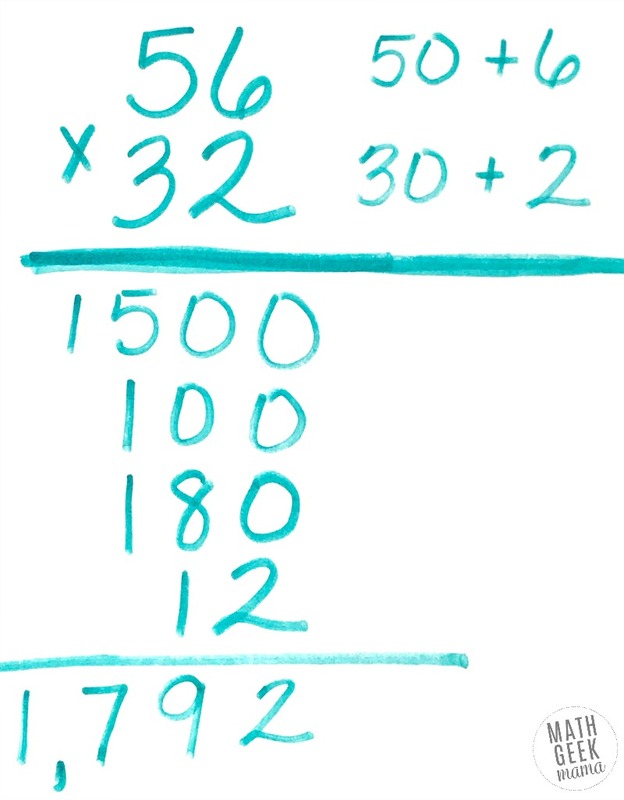 There are three popular ways to teach multiplying large numbers right now. I’ve always been a fan of teaching numerous methods since children learn differently. What works for me and makes sense to me, may not make sense them. A different method may be the key to their success. This is the way many of us were taught in school, and the way most of us are comfortable teaching. It’s known as the standard algorithm. But if you have a child struggling, I suggest trying one or both of the following methods. I used this method many times as a classroom teacher. 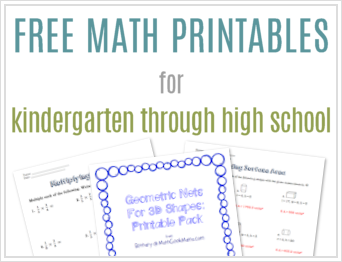 I’m not sure why, but it worked great for my children that struggled in math. As long as they could draw the boxes correctly, knew their math facts, and understood a grid…they got this! 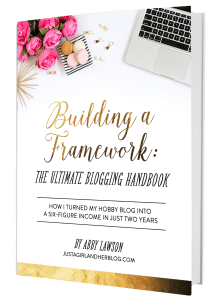 Learn more and grab some free grids for using this method here. This one can be a bit cumbersome as numbers get larger, but I love it because of its emphasis on place value. I always taught this one even if it just helped children to see why a zero was added when you reached the second, third, fourth line etc. using the traditional method. Some students naturally liked this the best, and this was the strategy I would see them use during independent work. It is honestly how I solve multiplication problems in my head. If you are interested in trying out these different methods with your kiddos and see what works best for them you check out this post. You can get more details on how to teach each one with some cut and paste activities to support their learning here. First, print off the game board and game cards on cardstock paper (link to the download below). Next, cut out the game cards and decide if you want to use them all or just some. There are cards for two digits by two digits, two digits by three digits, three digits by two digit multiplication, and three digits by three digit multiplication. 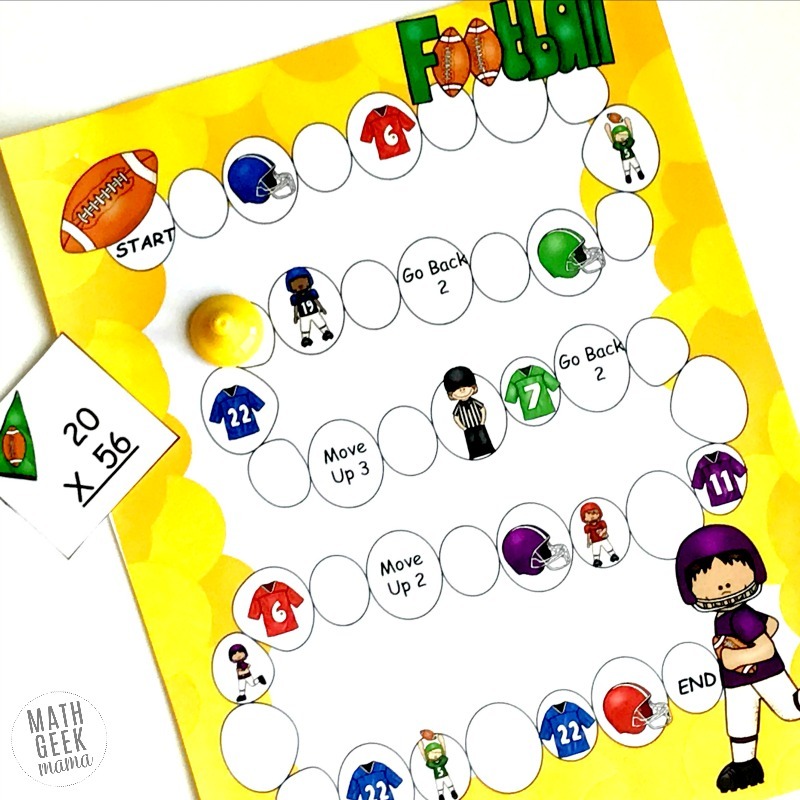 Finally, provide students with a die, game markers, and a calculator. I would also provide a whiteboard and dry erase marker so they have a place to do their work. 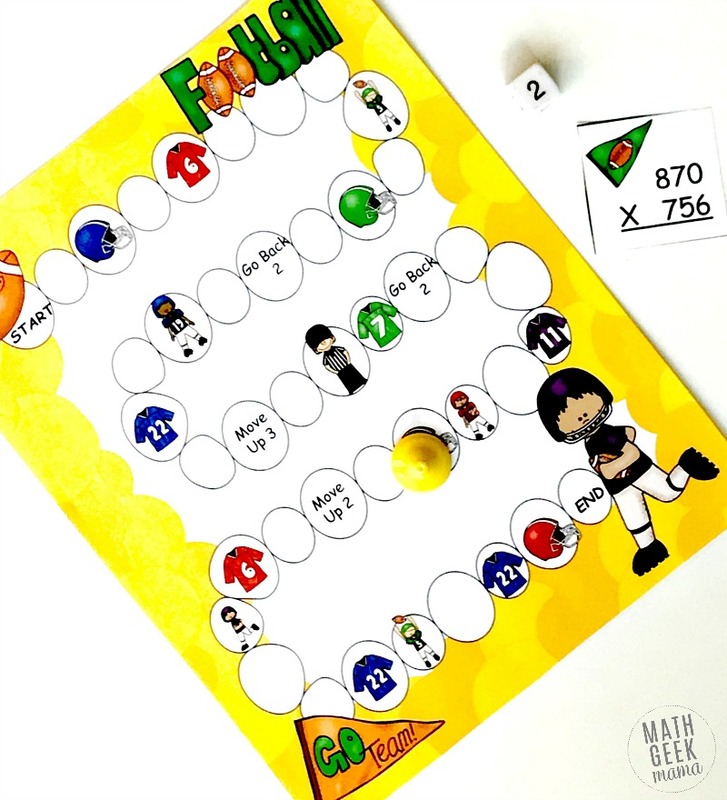 Object of the game: Be the first to make it to the end of the game board by correctly solving multi digit multiplication problems. Students take turns rolling the die and moving around the board. 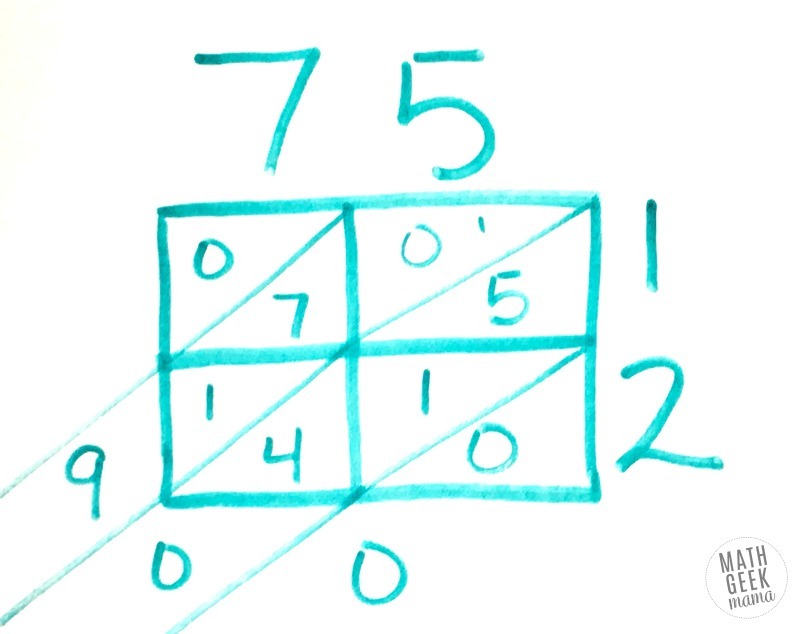 If the player lands on a picture, they must draw a card and complete the multiplication problem. Another player will do the same problem on the calculator. If the person who is doing the math without a calculator correctly answers the problem, they may roll again. If they then have to solve another problem, they do not roll again…it is now the next player’s turn. Finally, if a player lands on a space with words, they must follow those directions. Then the player who makes it to the end of the board first wins the game. 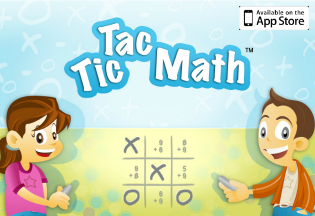 Playing games with children is a great way to get them to practice math. It’s not boring, and a lot of children enjoy the completion aspect to it.